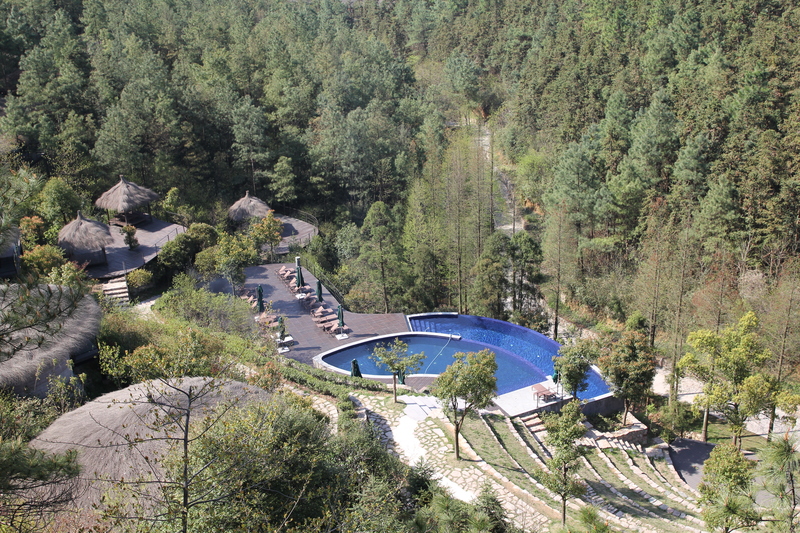 A lovely weekend at The Naked Retreat at Moganshan, outside of Shanghai. Owen had just returned from one of his UK medical trips and the kids were on Easter/Spring break. We packed the car and then spent 2.5 hours driving for a lovely long weekend break. 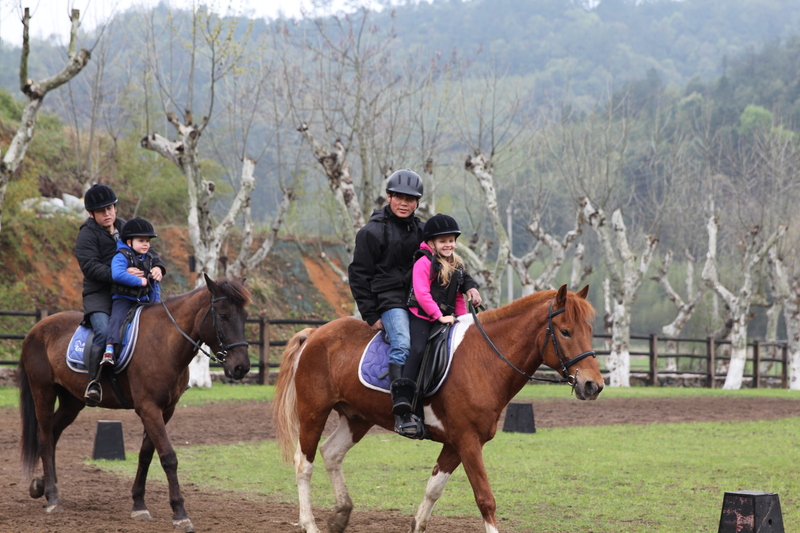 The naked Stables Private Reserve is an exclusive resort in a protected nature reserve. 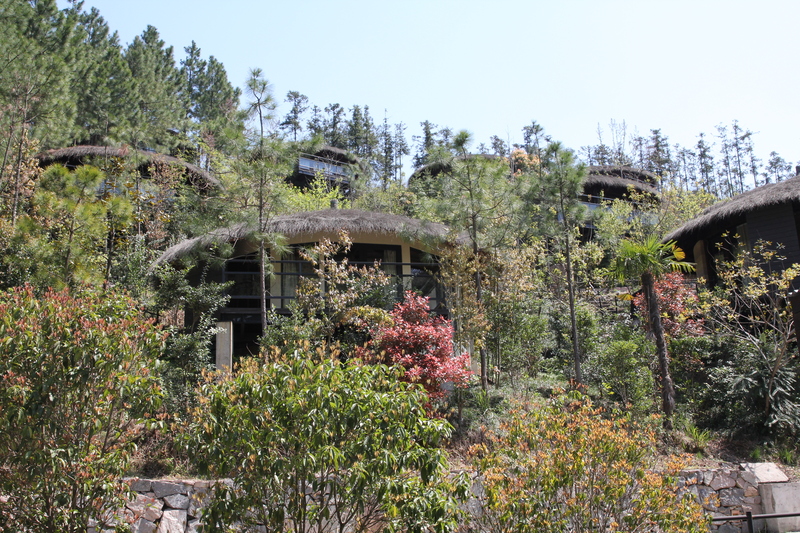 It is luxury accommodation in spacious Tree Top Villas or single bedroom Earth Huts, spread across a broad, secluded valley in the foothills of Moganshan. No motor vehicles are permitted inside naked Stables Private Reserve but you can get around the extensive estate by electric golf cart or by foot. 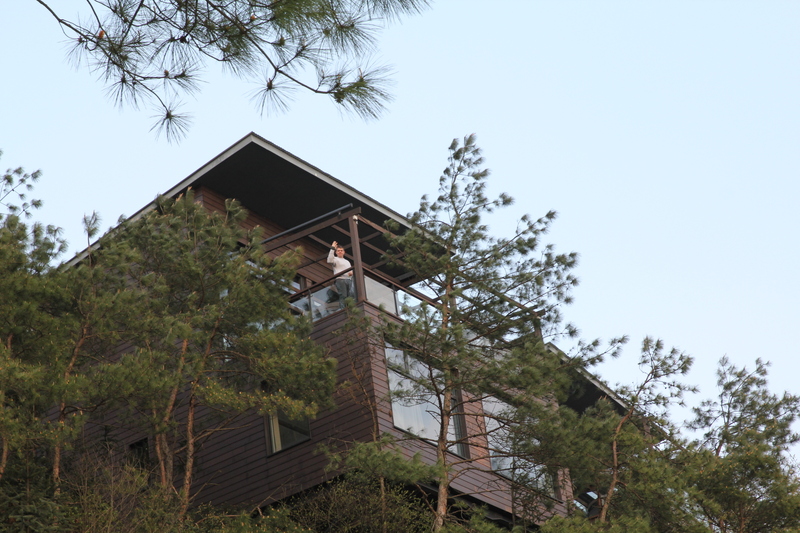 We had reserved a Tree Top Villa, “Owl 4” – a 2 bedroom villa with spectacular views across mountain tops. The deck had a jacuzzi on and a barbecue grill. 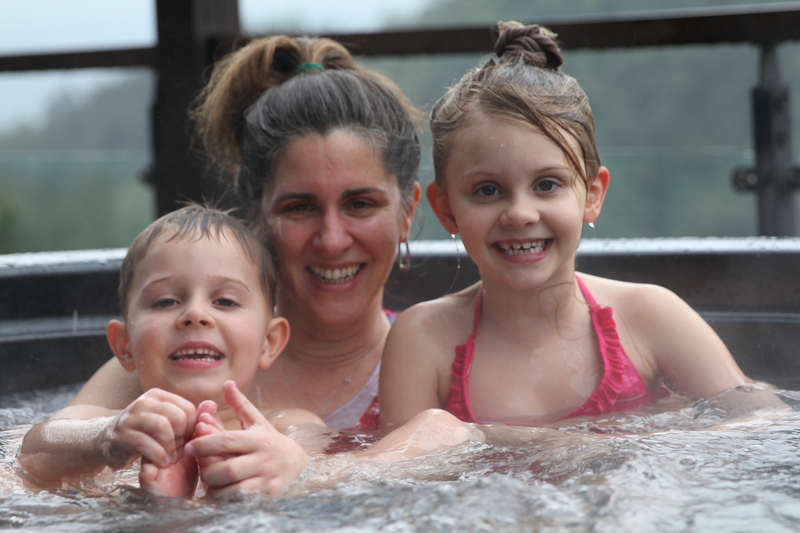 We all loved the hot tub and were in it at least twice every day! Our Tree Top Villa – Owl 4. That is Owen waving down to us. 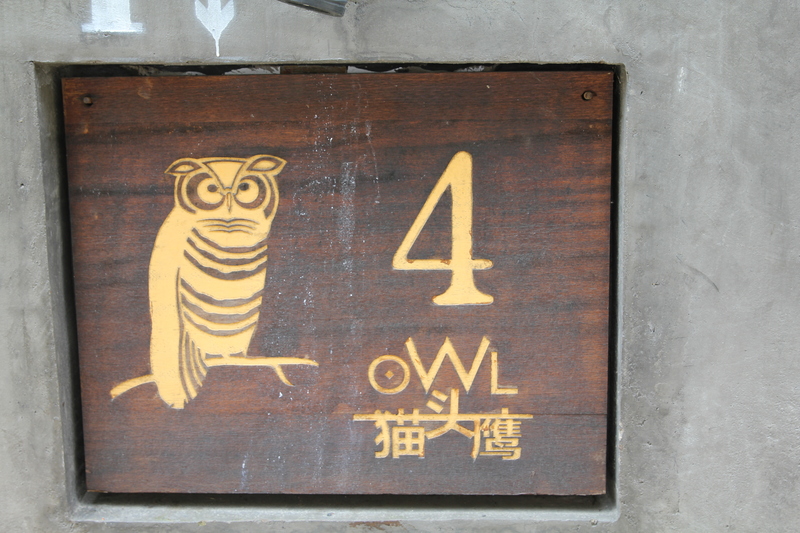 Owl 4 – all the different areas are named after animals and birds. Relax, get active and get well. Get ‘naked’. Lounge on a sundeck beside your private jacuzzi, admire the mountains above the forest and watch the wild deer below, or take advantage of a range of activities from mountain biking, horse riding and hiking. Cool off in one of our three swimming pools. Get involved in cultural and culinary events in the evenings. Children can be let loose in the supervised Little Shoots Kids Club. For the restoration of mind, body and spirit, the naked Leaf Wellness Center, hidden in the forest, offers personal consultations and a range of treatments, holistic therapies, yoga and meditation, diet and exercise regimes that incorporate all sides of the resort. It’s pure, private, naked luxury. Owen and I spent a couple of hours in the spa while the kids played in the Little Shoots Club – it was a fabulous pampering experience. 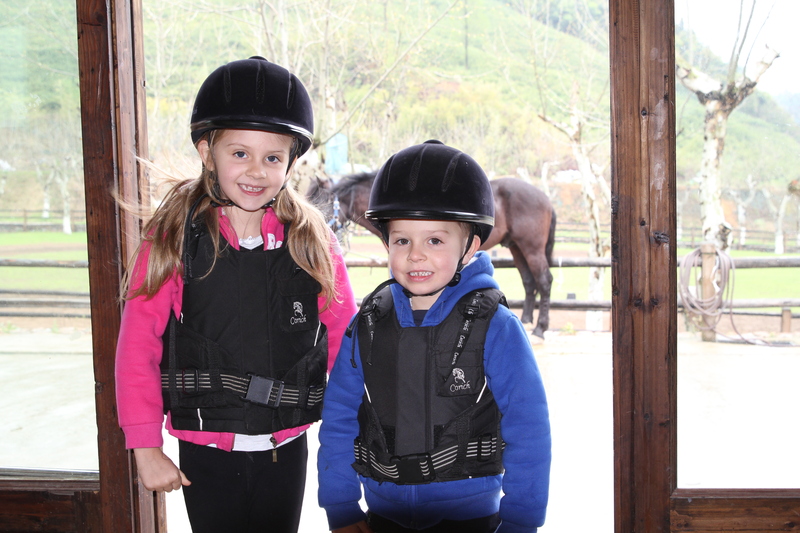 We had booked both children in for Horse Riding. Prior to this, Oliver was sure that he did not want to do it. 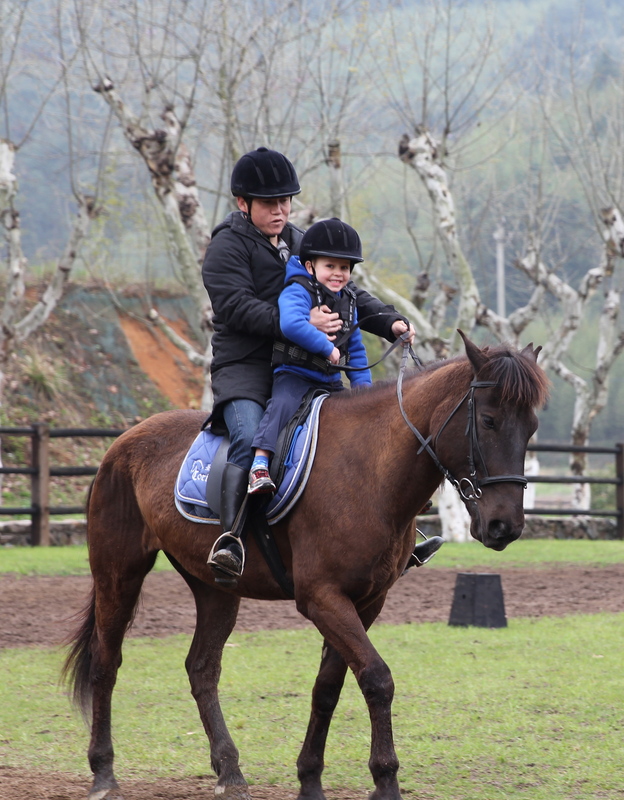 We persuaded him to try something new and once he was on the horse, he absolutely loved it! 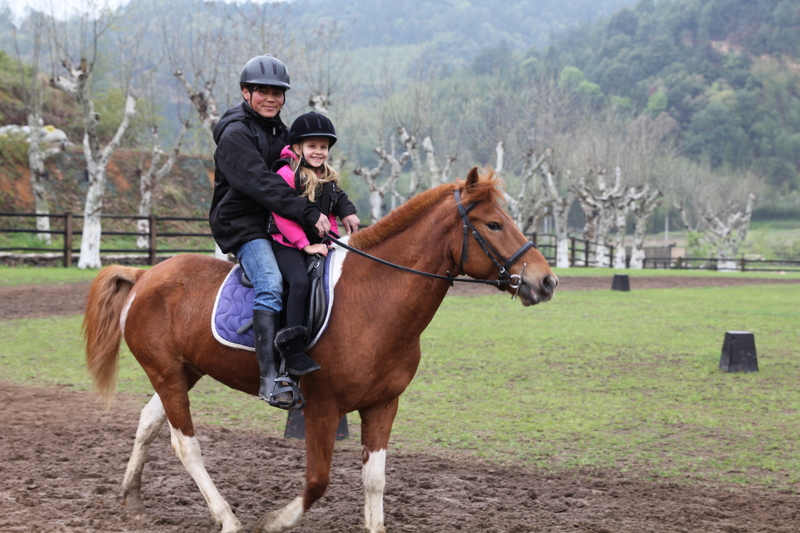 We were so proud of him trying something new…. Loving the trotting! He could not keep the smile off his face the whole time! The 2 of them walking and trotting around. Tea picking in the mountains. Can you see them in the fields? 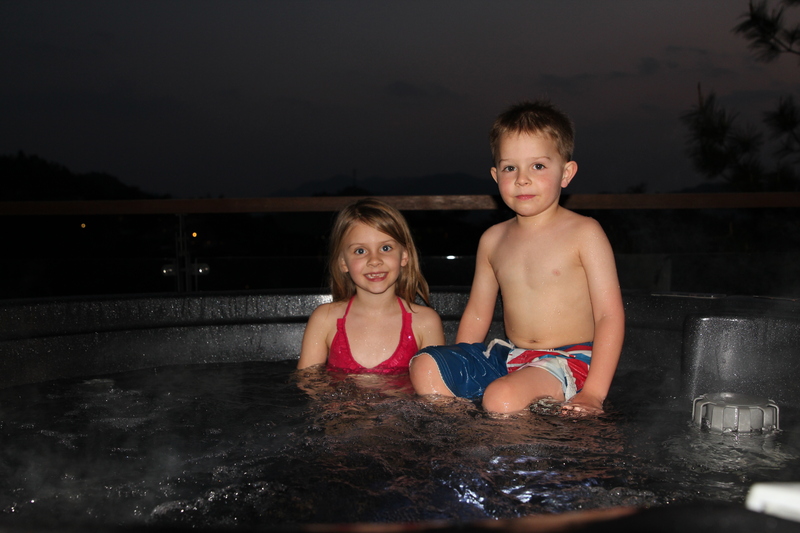 Isabelle and Oliver loved the hot tub. They were in it at every opportunity! 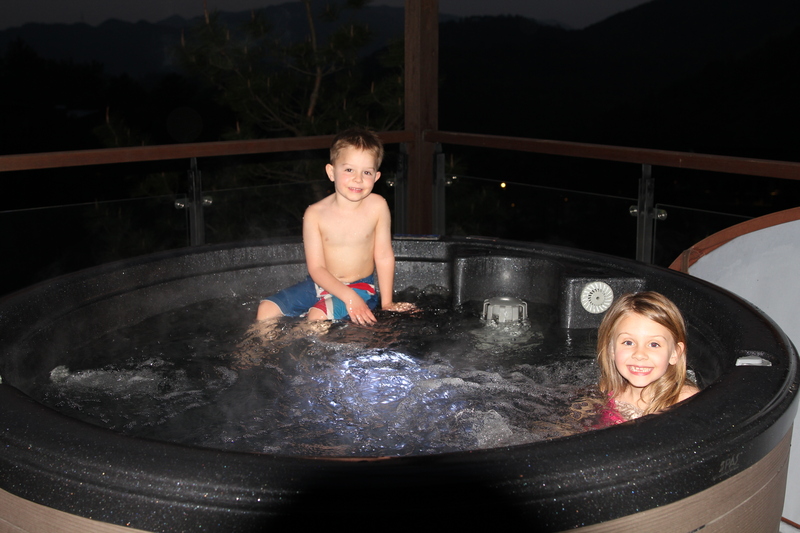 More night time hot tubbing! 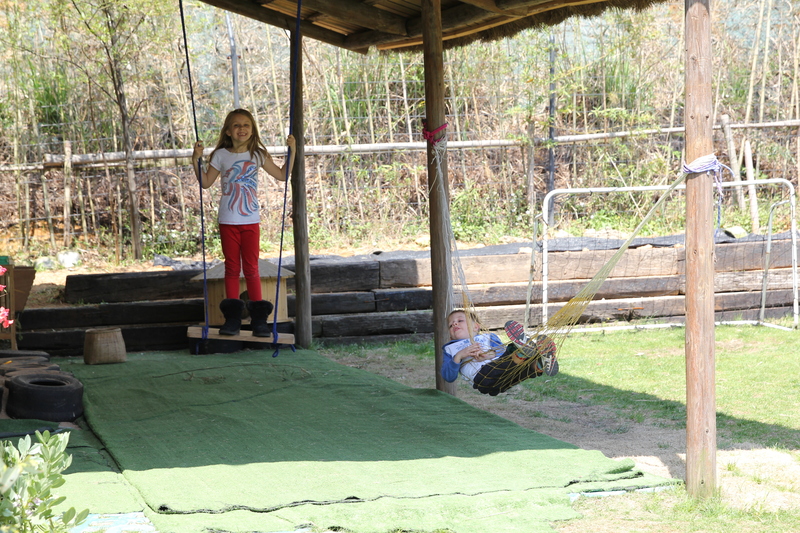 Isabelle and Oliver enjoyed spending some time at the Kids Club. They came back with beautiful paper flowers and stories of falling off the hammock! The pool shaped like a tea leaf. The upper pool is heated, but the lower pool is not and was very cold!! The restaurant served “free” afternoon tea with lots of delicious delicacies. It also had a lovely buffet breakfast and lots of yummy evening menu items. 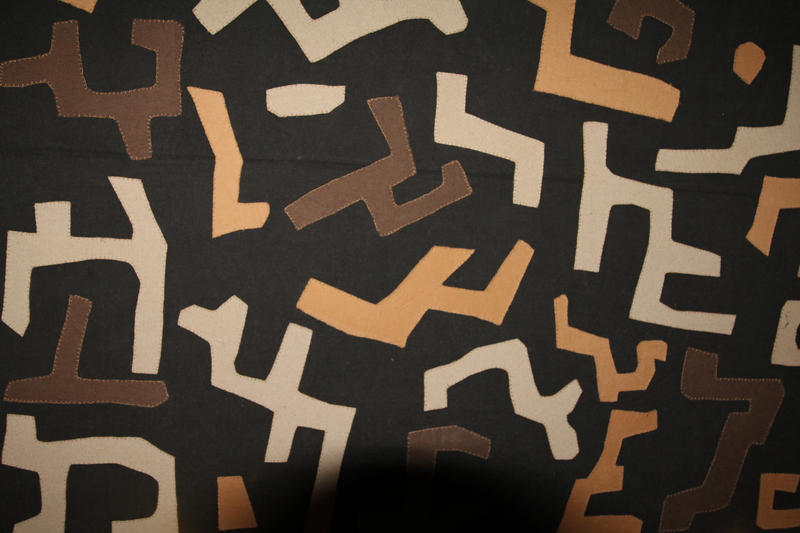 The ceiling had an unusual design….. The story behind “The Naked Retreat”: South African Grant Horsfield, the founder of naked Retreats, came to China in 2005. He wanted to identify a product that he could import and sell to the infamous ‘China market’, the untapped maker of fortunes that has attracted so many speculators for so many years. Grant is selling an idea, and he has found a vast market for it – while he was working in the bustling city of Shanghai, Grant missed the open spaces of his home country. He was brought up on a farm, the Veldt and mountains were his playground. Much like anyone, he found the pace of city life, the pollution, the stress, debilitating. He started looking for an escape, a rural retreat. 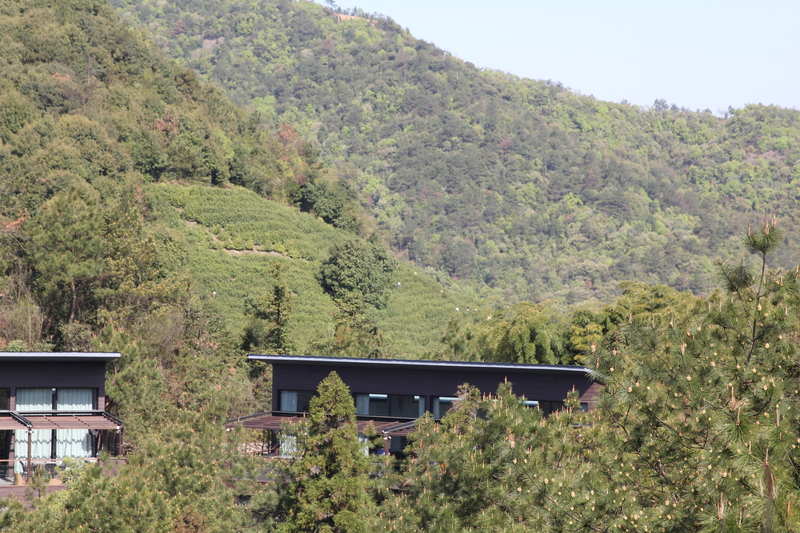 After several scouting trips by car and bicycle into the hinterland west of Shanghai, Grant came upon Moganshan, a bamboo clad mountain that was a popular heat retreat in the days of Shanghai’s foreign concessions. Just below the mountain’s peak and its surviving foreign-built villas, he discovered a farming hamlet called Shanjiuwu, also known as ‘395’. The houses were old, rundown, and mostly abandoned. A small, aging community grew tea and vegetables on smallholdings and harvested bamboo. Grant had found his idea – with immense difficulty he tracked down the owners of the neglected farmhouses, he roused the village chief and approached the local township authorities. His proposal was equally difficult for them to understand, let alone approve and enact. Grant wanted to rent some underused farmhouses and convert them into guesthouses. He prevailed, and naked Retreats Home Village was born. The year was 2007. The eight guesthouses have been all but fully booked ever since. Grant, with partners Gabriela Lo and Evan Lai, and his wife Delphine Yip, has built naked Retreats into a well known, successful company and brand. In October 2011 they opened naked Stables Private Reserve, a purpose built collection of Tree Top Villas and Earth Huts at the foot of the valley below 395. naked Retreats are now looking further afield, yet always within a few hours of a major city, for places to create their unique retreats for the vast, untapped market of urban China. 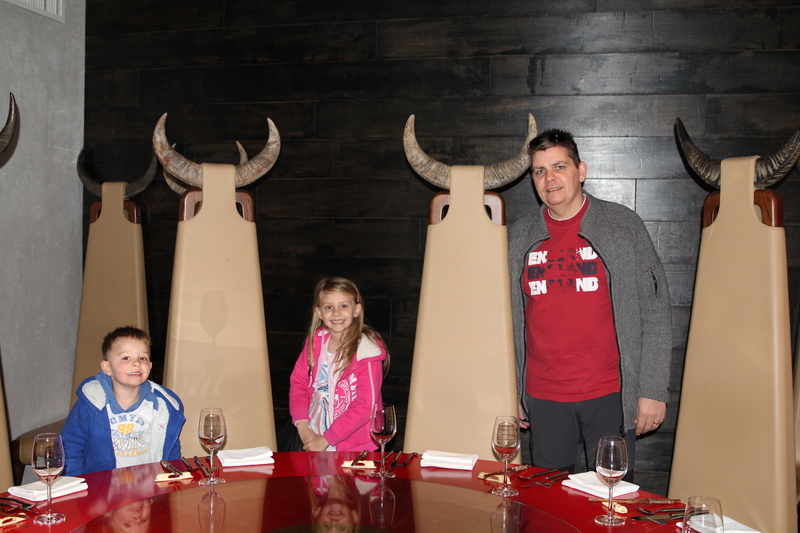 One of the private rooms at the Kikaboni restaurant. These chairs are fabulous! 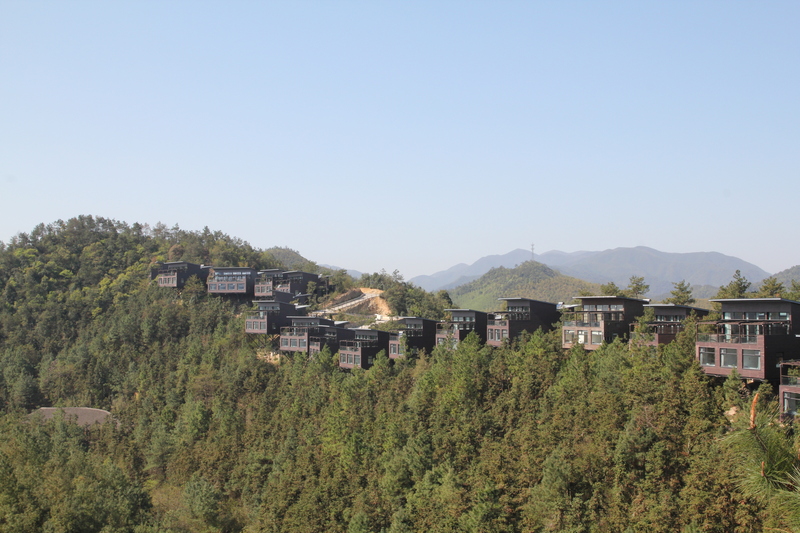 The cabins are tucked in the mountains….. You can barely see them when walking around. 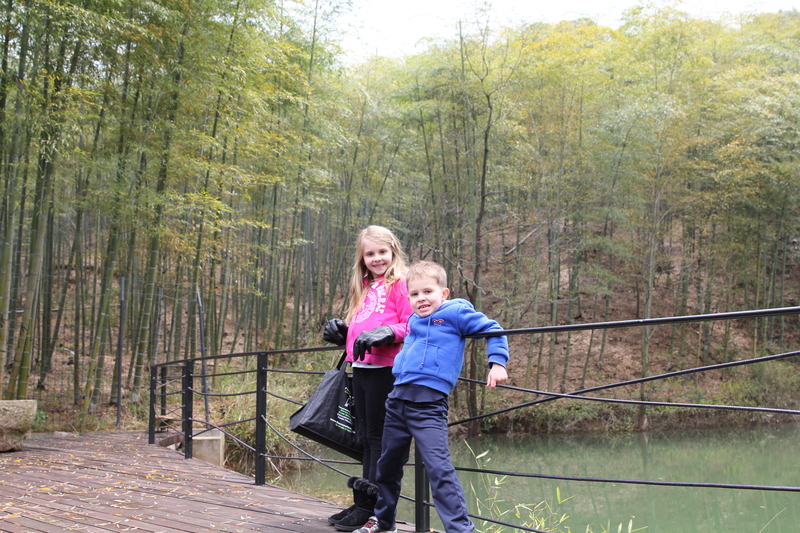 Look at the Bamboo forest behind Isabelle and Oliver. The whole mountain is covered with bamboo and tea! A lovely relaxing, peaceful weekend. We all enjoyed this wonderful place and will try to get back again before we leave China. 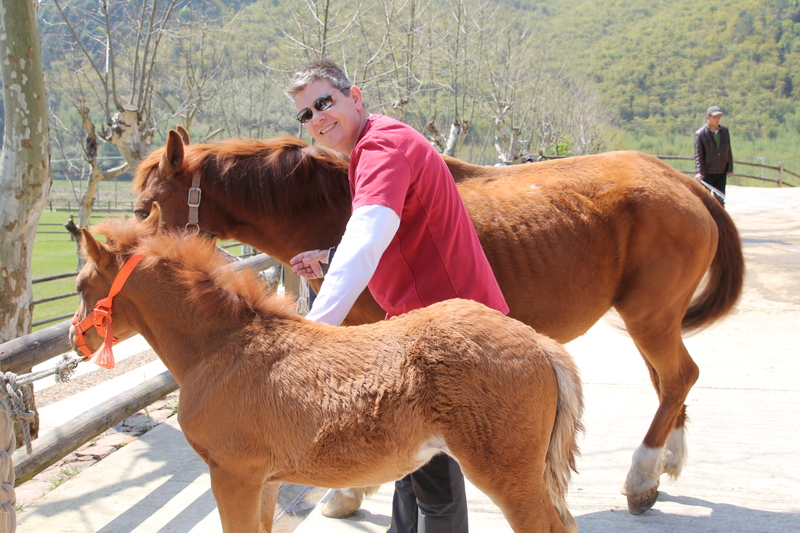 This entry was posted in Uncategorized and tagged "This is China", Kids, Moganshan, Owen, the Naked Retreat, vacation. Bookmark the permalink.